Despite its universal inevitability, death is a touchy topic for many. 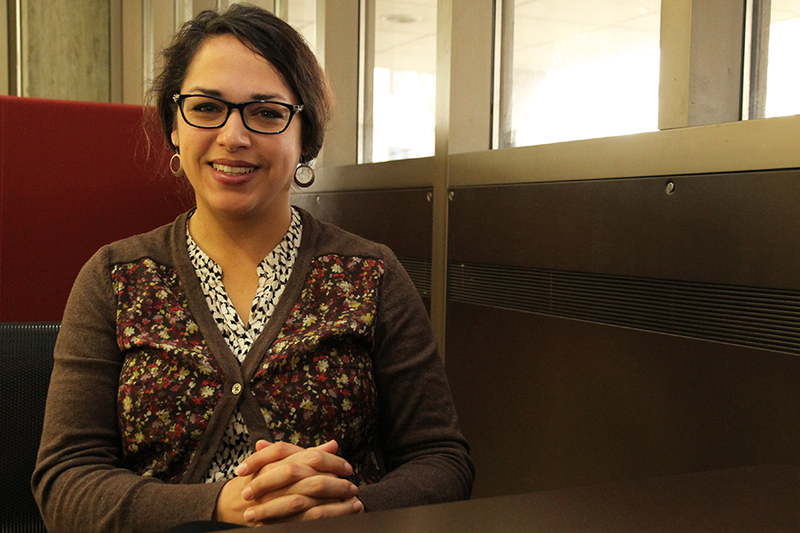 It is a subject Meera Kachroo, sessional lecturer with the Department of Linguistics and Religious Studies in the College of Arts and Science, hopes to bring out into the open, albeit in an abstract way. "Death is a fascinating topic," said Kachroo, "and it's a really important part of people's religious lives—all of the rituals around death and thinking about end-times is a huge preoc­cupation. It's a part of life and is another aspect of how we move through the universe." Starting in January, Kachroo, who is completing her PhD in religious philosophies from McGill University, will be teaching a course at the U of S that profiles how various world religions, particularly those in eastern and southern Asia, under­stand and process the concept of death. "We live kind of removed from it, so it's harder to talk about personal things that affect us really deeply," said Kachroo, adding that social structures such as hospitals and hospices further protect North Americans from looking at death objectively. "It's taboo here. A lot of us don't have practice and it's an exercise in vulnerability." Comparatively, the philos­ophies and traditions of Asian religions see death as less finite and more cyclical. "You don't just close the door and that's a vacuum," she said. Rather, "it's not a vacuum, it's not a non-place. There are always different realms and there's always this idea that they continue; there's this continuance of the spirit or the soul where it can emerge back into our lives—a circularity or neighbourliness with death." Born and raised in Saskatoon, Kachroo grew up attending a Hindu temple and reads Sanskrit, where the take on death is much different—at a personal level, she considers it "a gateway to mystery." She recalled reading ancient Hindu texts that contain interesting perspectives about death and the after-life. One of those texts, the Katha Upanishad, is a foun­dational document of Hinduism and is considered one of the oldest philosophical texts in the world. "A boy has a conversation with death and death reveals to him all the secrets about his soul, about the nature of the universe, about his responsibilities in the world, and it really teaches him how to live," she said. "Death comes back again and again as a teacher." Her goal with the class, she explained, is to use other mediums, such as art, poetry and philosophical ideas, to explore the depic­tions of and attitudes towards death in other religions. There will also be appearances from guest lecturers—such as funeral home workers and grief coun­selors—to share what it is like to have some aspect of death in their lives every day. "It's easy to think about death in such a simplistic way if you don't think about it too much," she said. "But that's kind of the point of the class: let's think about it in a more nuanced, healing and helpful way." And while she encourages her students to be open and frank in their discussions, she is careful to frame the class academically due to its subject matter. "It's very personal for everybody," she said. "That's something I'm going to pay attention to and I'll be sensitive to that."